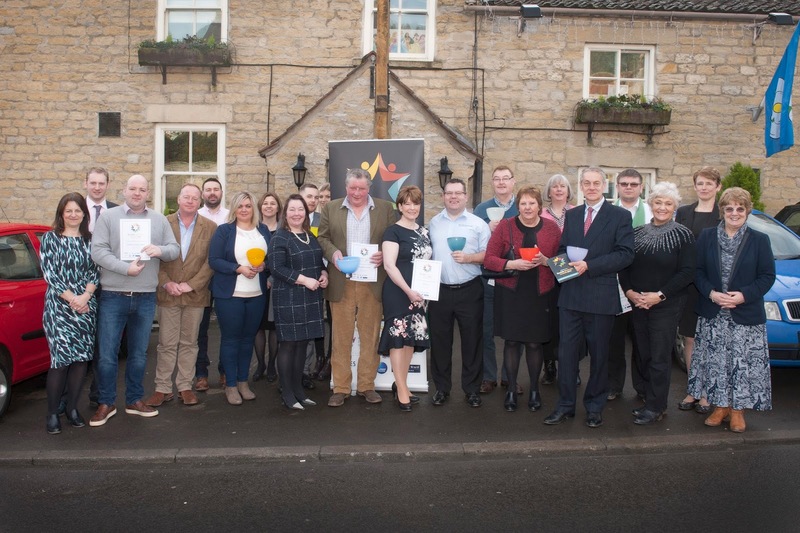 On Tuesday 24th January 2017, we held the first Ryedale Business Awards at the White Swan of Ampleforth . I had the pleasure of enjoying this Brazilian experience in York, just before Christmas. A lively ,friendly place and just what you can image of a Brazilian rodizo. I think we are all now looking to venture to try something different and this was certainly "up my street". The meat was just amazing and the salads were quite special too with generous prawns and anchovies and other little fishy treats on the salad bar too . The concept is you help yourself to salad and then the waiters come round with meat cooked on skewers until you can eat no more. My photo maybe gave a bad representation of how good the cuts of meat was but trust me it wasn't just sausages and a bit of meat ,It was as much meat as you can eat. Each person has tongs and as the waiter starts to carve it off you take hold of it with your tongs and put it on your plate..quite a fun thing to do .It all adds to the atmosphere and the making of a good night out. Huge selections of drinks and Brazilian music all add to this. For non meat eaters there are other fish to be had and a selection for vegetarians too . But with people like Jack and our friends the meat eaters are in their element. It was nice to meet the owner Richard Beal as his family hail from the Malton/Pickering area. And as I went to school at Malton we straight away had plenty to talk about . I am sure there will be a lot of our guests who take a break from their tourist trip when they seek refreshments and head here as it is at No 1 Micklegate which is where the old Co-op used to be so not far at all from the very centre of town. Ironically it was where I used to go to see Santa Claus 50 plus years ago to go on the sleigh ride to Lapland .This time there was no doors side by side to trick you into thinking we had gone to the North Pole or to Brazil for that matter but it is a trip worth doing.